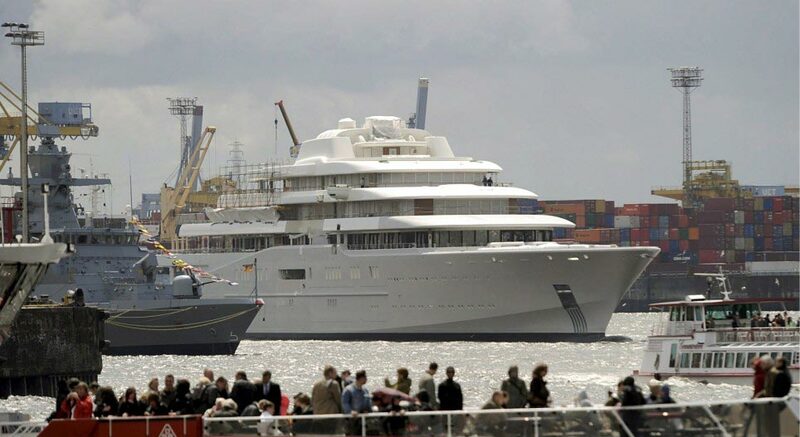 That’s the trouble with being a multi-billionaire, you wait ages for a superyacht to arrive, then two come along at once. 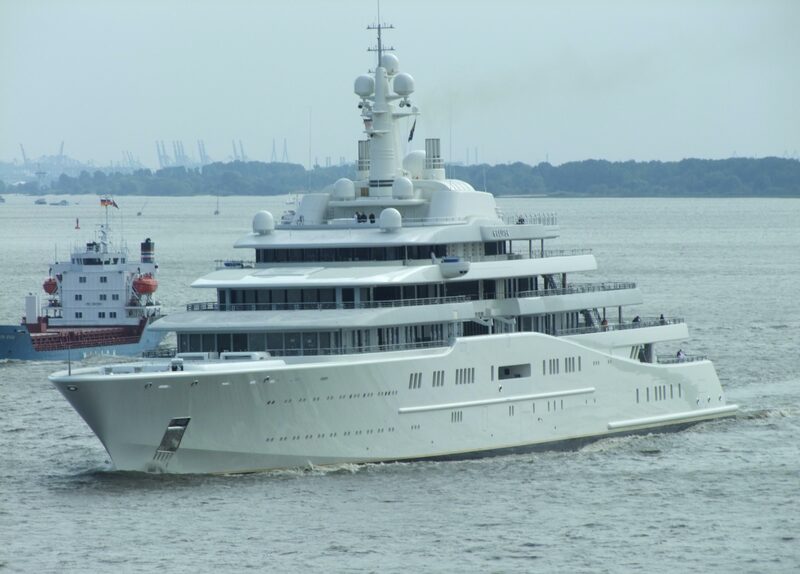 Roman Abramovich was waiting for one yacht to be delivered and then the other just trots along! After become the proud owner of the World’s largest expedition Motor Yacht Luna, comes another delayed sea monster. 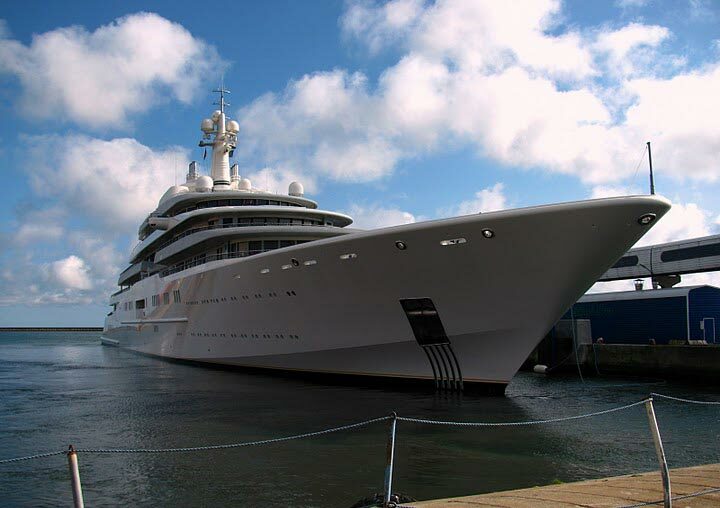 This time it’s World’s Largest and Most Expensive Yacht Eclipse. Workers were last week removing scaffolding from the Eclipse, a 550ft monster being fitted out after first taking to the water for trials last year. Its superstructure is now adorned with a more priapic communications tower than a small warship, radar domes have sprouted everywhere and behind the tower is a mysterious large white bubble. The Eclipse is said to have two helipads, two swimming pools — the larger of which converts into a dance floor when drained — bullet-proof glass, 6ft home cinema screens in every guest cabin and a master cabin where the roof opens to allow Abramovichto sleep under the stars. An anti-paparazzi electronic ‘shield’ (the hi-tech system integrated in the Eclipse relies on lasers to block any digital camera lenses nearby) will take care of their privacy while on board. 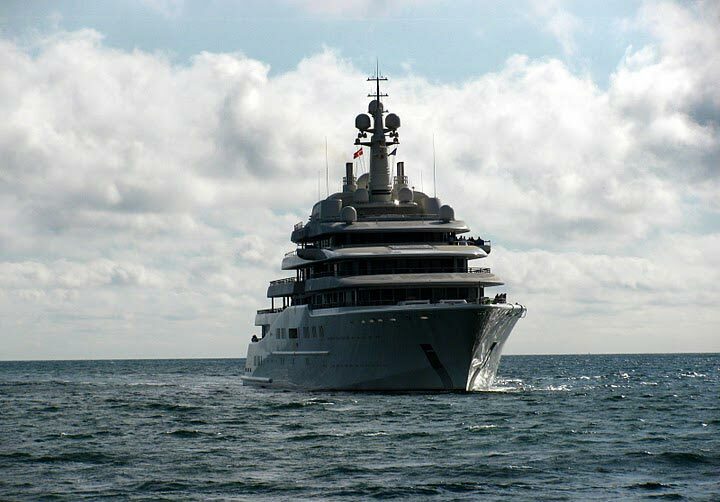 The Eclipse, which features a military-grade missile defense system, will literally eclipse 531-ft yacht Dubai owned by Sheikh Mohammed bin Rashid Al-Maktoum, the Emir of Dubai. The ship also has a submarine that can be launched underwater and dive to a depth of 160 ft. that doubles as an escape pod. 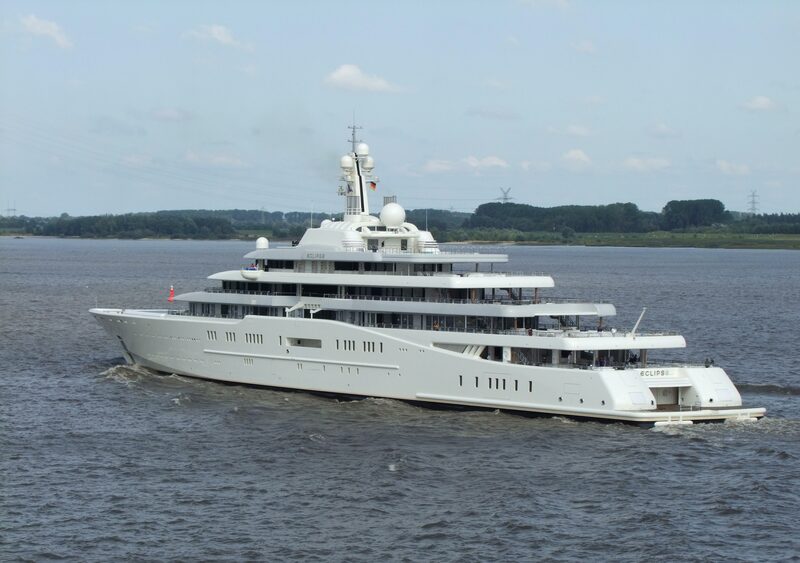 Built by Blohm & Voss, the yacht is touted to cost double its original price of $488million. Why does Roman Abramovich need it along with the Eclipse? 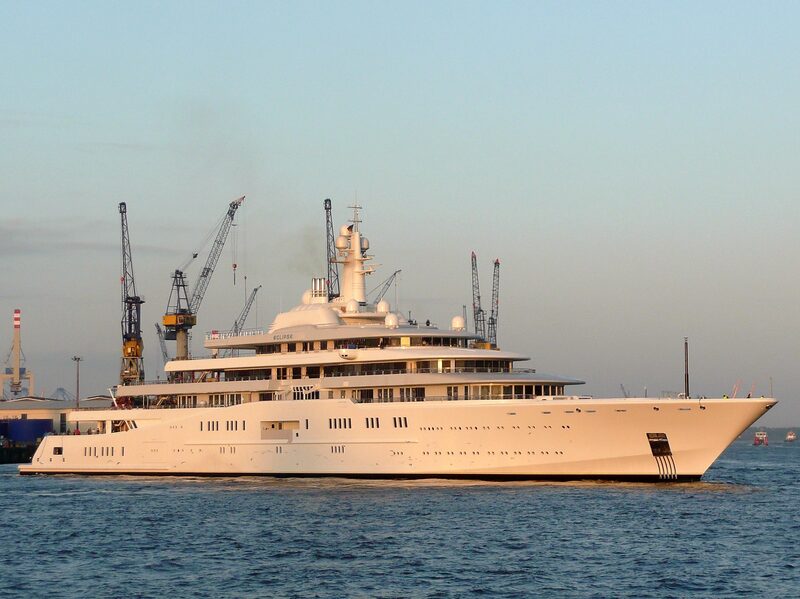 The Russian oligarch, whose fortune is estimated at £8.5 billion, has been down to his last boat. Of four he used to own, he sold one, gave another to a business partner and handed one over to his ex-wife as part of their divorce settlement. His remaining yacht, a tiddler of 164ft, is hardly suitable for parading in the Mediterranean or at the World Cup in South Africa. Soon, however, he may face one last problem: which of his new yachts will he use first?